Enhance the value and curb appeal of your home with high-quality replacement windows. 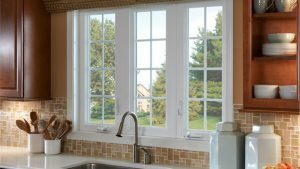 For homeowners in Alpharetta, bow windows offer the ideal mix of impressive beauty and high-quality construction. With an innovative, curved design that extends out from your exterior, you’ll enjoy increased interior space for seating and storage. Best of all, our windows are built for extreme energy efficiency—saving you money on your high monthly utility costs! Looking for a unique and functional replacement window? Look no further than garden windows from Tight Line Exteriors! Perfect for the kitchen or your family’s living room, garden windows create a light-filled nook that is ideal for growing herbs, flowers, and other plants year round. Customize your garden window with side vents for increased air flow, or choose from a variety of finishes and styles for a one-of-a-kind appearance. When it comes to house upgrades in Alpharetta, home windows top the list for the highest return on your remodeling investment. At Tight Line Exteriors, we offer an impressive selection of beautiful windows from top brands in the industry for guaranteed quality. From the classic appeal of double-hung windows to cost-saving, energy-efficient window options, we’re the one-stop shop for superior service and products. Even the highest-quality window needs proper installation to ensure lifetime value, and you won’t find a more skilled crew in Alpharetta than the pros at Tight Line Exteriors. As a local, BBB-accredited business with over 30 years of experience in the construction industry, you can rely on our team to provide personalized service through each stage of your window installation project. Since 2004, Tight Line Exteriors has led the industry in providing top-notch home remodeling solutions throughout the greater Atlanta region, and we strive for 100% customer satisfaction with every project we take on. When you’re ready to upgrade to efficient replacement windows in Alpharetta, give our team a call to learn more about our affordable pricing and outstanding products! You can also fill out our online form now, and we’ll get you set up with a free, no-obligation estimate.